Thanks DA. I would have cleaned it but your so quick! Hot fix for wing fairings will be available tonight sometime. Awesome.. looking foward to that! Q: are you going to incorporate the notches on the rear lower wing near to the fuse also (if time allows)? THAT would be the icing on the cake for this D.Va! New version and hotfix is now available for download in original post. @Ice Eagle- Not sure what "notches" you are referring to? Typically notches, panels and doors are painted on, as they take up extra space in the mesh, and this aircraft is already high poly. That looks like a broken wing to me or torn fabric from RoF (yet again)... I've never ever seen a picture , profile, or 3 view with a gap that large. There is a little one where the fabric comes back to the fuselage from the spar. But it's mere inches. Ohhhh its there alright. If its too much to do I understand. @Ice Eagle- It's not too much. But if I take every request and do it, I might as well scrap all the work I've done and build an entire new plane. And it'll never get "done" anyway cause the requests will keep coming in, because it will never be perfect in everyone's eyes. I had 10 PM's this morning with requests. And that was just in the oh, 7 hours since I had posted it last night. My original intent was to get something that looked like, and was identifiable to the average eye. I believe I achieved this and then some. But I want to get this done so I can get to other projects waiting on the backburner, such as a scratch built Fokker D7. Many thanks SAS Friction . This is a great work.Sit back and enjoy the moment mate .You have made many people very happy with your work. ...such as a scratch built Fokker D7. 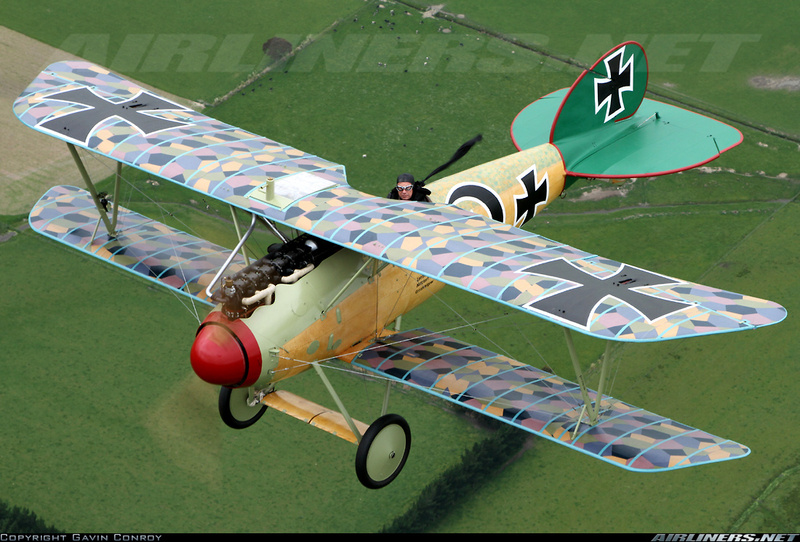 The Airfix Albatros D.V was the very first model I built on my own, and I still have a soft spot for this bird. Nice work indeed!